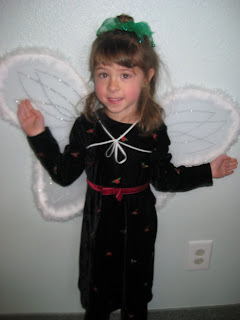 Brianna was an angel in her play at Preschool! It was really cute! 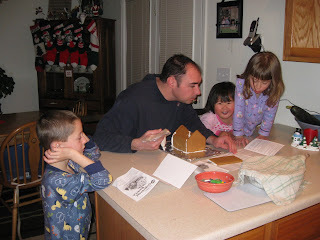 Then I agreed to let the kids make a gingerbread house! I got fired from this job -something about the walls not being straight!